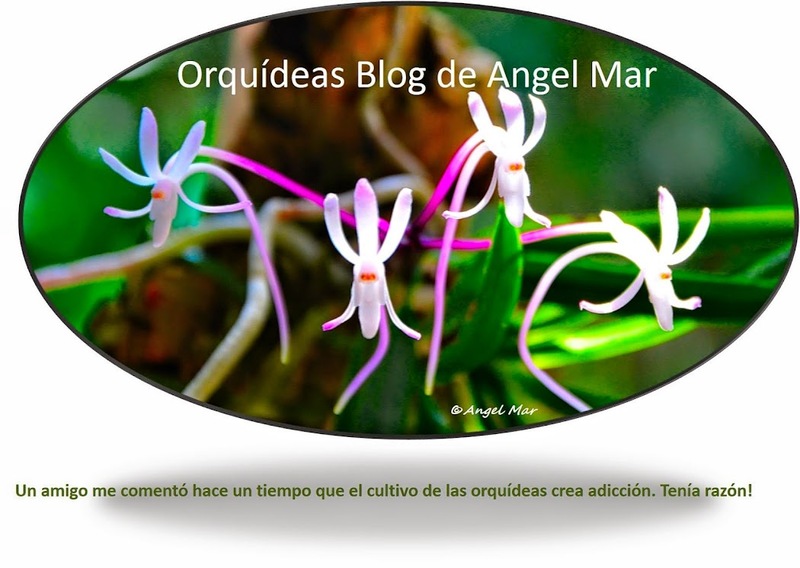 Una buena ocasión para disfrutar de estas plantas, aprender en las Charlas y Talleres y ampliar nuestra colección de Orquídeas. El 3 y 4 de diciembre en la Rosaleda (Parque del Oeste) en Madrid. 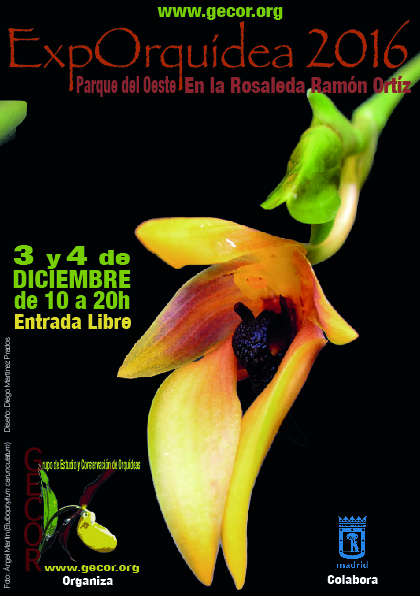 Este año han elegido para el cartel una de mis fotografías de una flor de Bulbophyllum carunculatum. 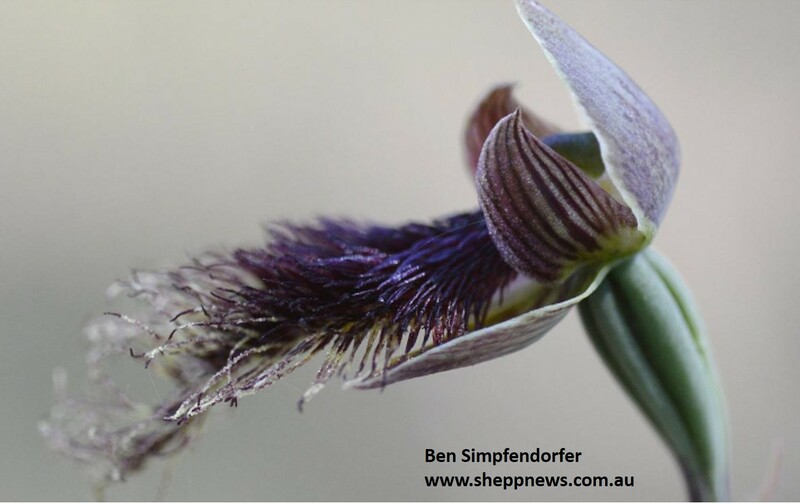 Horticulturist Ben Simpfendorfer has found an endangered orchid just five minutes’ drive from the main street of Rushworth in Whroo Historic Reserve. ‘‘I found six bearded orchids in a three by three-metre patch when I was walking through the bush last week,’’ he said. The endangered orchids, only 30cm tall with small 2cm flowers, are described as looking like a man’s beard. ‘‘It must’ve been the ideal climate and location for these little beauties to grow because they need a particular type of underground fungi for the seed to germinate,’’ Mr Simpfendorfer said. Mr Simpfendorfer said there were more than 30000 species of orchids around the world and he did not believe anyone else knew these grew in Rushworth. 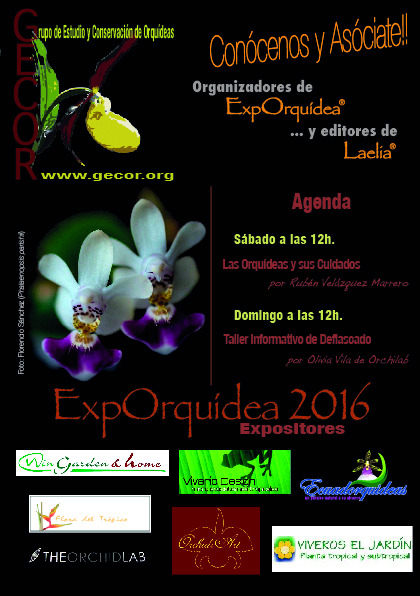 ‘‘Orchids are so diverse and the way they have evolved to survive is quite amazing,’’ he said. Mr Simpfendorfer said he would keep the location of his find a secret.